The Oakland Raiders undoubtedly suffered their worst loss of the 2018 NFL season at the hands of the lowly San Francisco 49ers. However, it seems their woes this year have not damaged head coach Jon Gruden’s confidence in their ability to recruit. It goes without saying that Gruden’s comments are extremely far-fetched at this point. It is even more concerning that he feels the need to confirm that notion to the media. 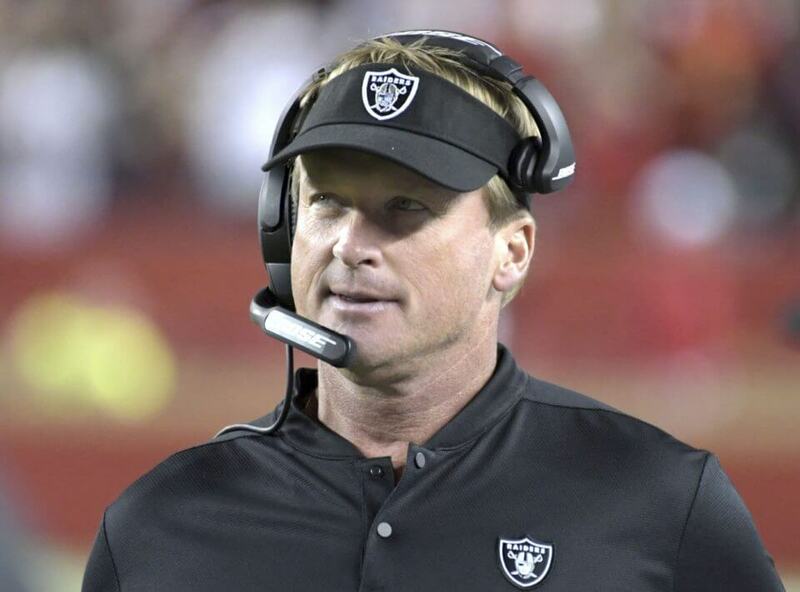 Regardless, there is no denying that the Gruden era has gotten off to a disastrous start. The Raiders certainly had their issues prior to Gruden’s arrival. However, there was plenty of optimism when Oakland managed to bring him out of retirement to help turn the organization around. Unfortunately, things have taken a turn for the worst. Their abysmal performance against the one-win Niners should come as no surprise. The Raiders have parted ways with all their star power and former first-rounders in exchange for picks. It would have been difficult to imagine them suddenly becoming even better after parting ways with the likes of Khalil Mack and Amari Cooper. That said, it is difficult to see where Gruden’s optimism stems from given all that has transpired this season. His willingness to trade away star players will only discourage future star players from wanting to join the Raiders.